The Duluth firm of Smith and Yokes took a page from the Prairie School book of architecture popularized by Frank Lloyd Wright and threw in some Classical Revival details for good measure. 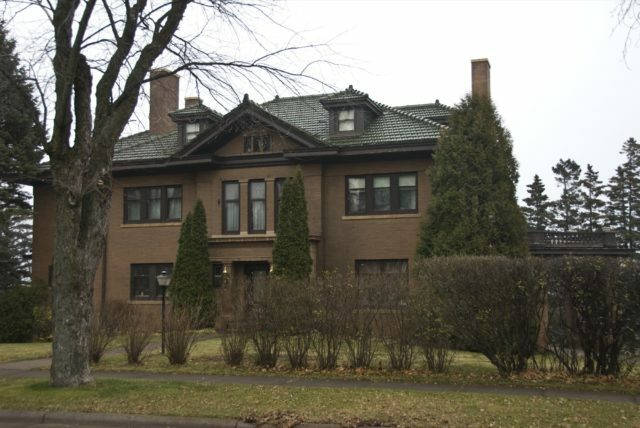 Smith and Yokes also designed four other East End homes, including two homes for the prominent Alworth family on the 2600 block of East Seventh Street. Outside of the fact that Dana Rood was a physician, little is recorded about the Rood family.